If you liked your personal luxury coupes to have that chiseled look, this 1974 Chevrolet Monte Carlo might have been right up your alley. 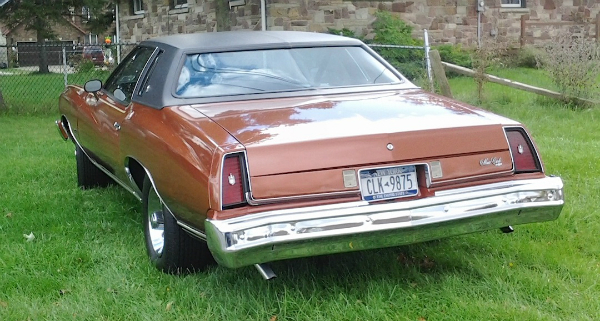 First introduced for model year 1970, the Monte’s looks changed drastically with the introduction of the second generation in 1973; the ’74s hit the showroom with only minor trim changes. Saw this one in Niagara Falls. Jim Corbran, RRofWNY …and check out our Facebook page: Non-American Classic Cars The post RealRides of WNY appeared first on Buffalo Cars.